Kosovo’s president made a rare visit on Saturday (29 September) to a disputed, mainly ethnic Serb area in the north of the country, angering Belgrade just three weeks after Serbia’s president infuriated Pristina by visiting the same area. 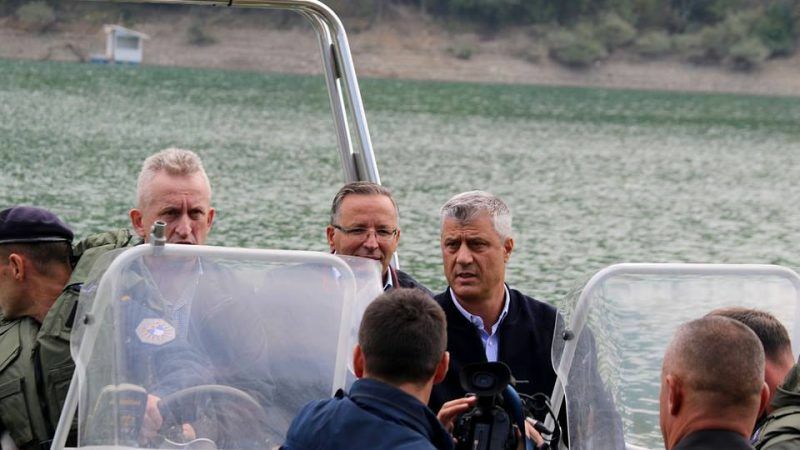 “Let’s work together for a new Kosovo…Kosovo is one, unique, independent and a sovereign country,” President Hashim Thaçi told Kosovo media at Lake Gazivoda, an artificial lake in a mainly ethnic Serb area. Serbia’s President Alexander Vučić had visited the lake on 8 September. Thaçi was quoted as saying he had coffee with workers at the lake. Serbia accused Kosovo police of seizing control of the lake and briefly detaining four workers. Kosovo said the police were there to provide security for the visit and nobody was detained. Both sides have said they could agree to swapping Kosovo territory populated by Serbs for Serbian territory populated by Albanians. However, expectations of such a deal dimmed in recent weeks after a meeting between Thaçi and Vučić was abruptly cancelled. Vučić toured the disputed area the next day. The latest round of EU-sponsored Kosovo-Serbia talks effectively collapsed on Friday (7 September) as Serbia’s president refused to sit down with his Kosovo counterpart, citing a ban by Kosovar authorities on his planned visit to the former Serbian province as a reason to reassess all relations with Pristina. 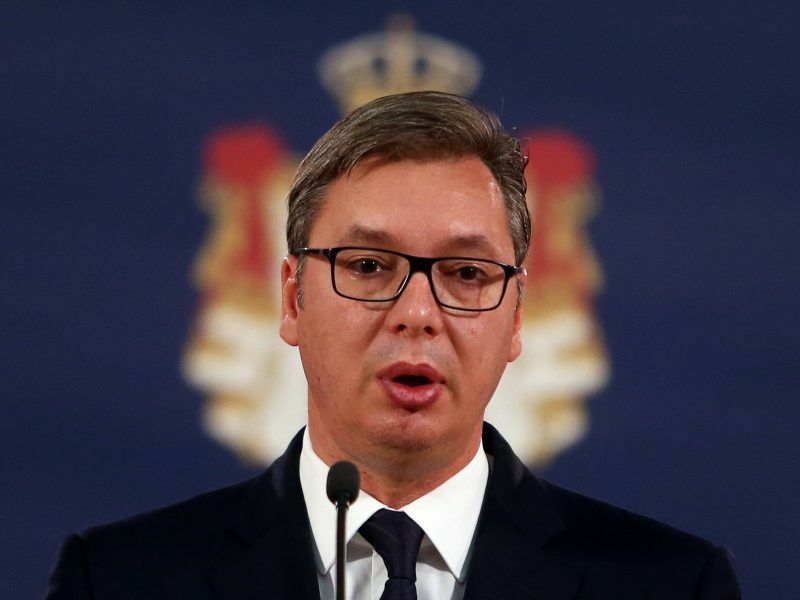 Marko Djurić, head of Serbia’s government office for Kosovo, said Serbia was putting its military as well as police under high alert as a result of Kosovo action in the area. “Due to an Albanian attack against the north of Kosovo and the arrest of some Serbs who have not committed any crime, I ordered the police director to put all special police units in state of the highest readiness,” Serbian Interior Minister Nebojsa Stefanović said. Thaçi’s unexpected visit to the north came hours before ethnic Albanian nationalists held a planned demonstration in the capital Pristina against the president’s willingness to discuss adjusting the border with Serbia. Vučić is expected to meet Russian President Vladimir Putin in Moscow on Tuesday (2 October).